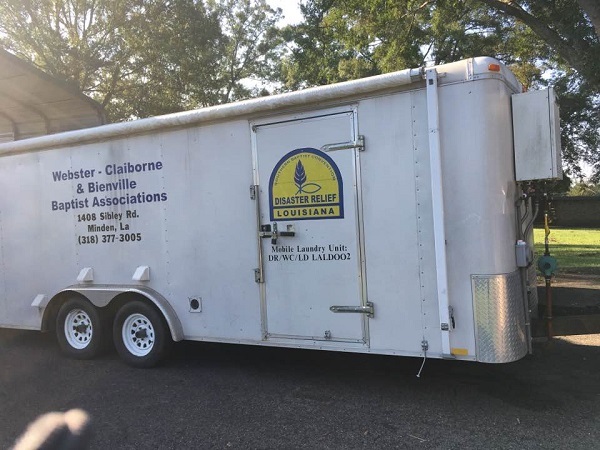 The Webster-Claiborne and Bienville disaster relief efforts include a laundry unit trailer and a support trailer. These units are ready to roll in the event of a disaster. We are ready to deploy our Disaster Relief Units to needed areas. Stay tuned for updates. Your gifts, time, and prayers are needed and appreciated. 3. Financial. 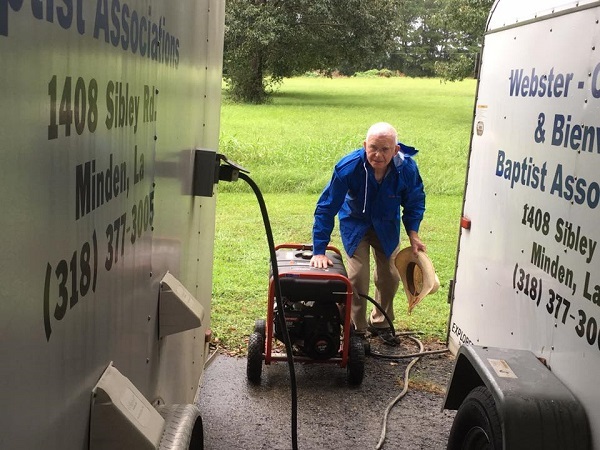 You may give directly through the Louisianabaptists.org web site or to the Rolling Hills website or mail a check to the LBC or our association, or Rolling Hills. 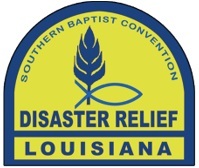 Make sure you make out your check to LBC, or Bienville Baptist Association, or Webster-Claiborne Baptist Association, or Rolling Hills then on the memo line state Disaster Relief. We will forward any gifts that come to us through Rolling Hills or through Louisiana Baptists.